Cows are pretty self-sufficient – and in our case, they need to be. We live 3 1/2 hours south of the pastures they call home, and we get up there to check on them about every 7 – 10 days. My husband has assured me they will be all right, and with the landowners living onsite and neighbors all around, I know that is true…yet…I still whisper a prayer each time we pull in that half-mile long driveway. And, you know what? They’ve been ok – maybe a tad bit lonely – but ok. It is amazing how glad they seem to see us when we pull in – they come running! And we are happy to see them as well. 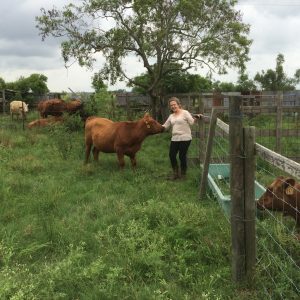 Now, we don’t ask just the cows; there are plenty of knowledgeable humans that have learned how to work with nature to raise cows that can take care of themselves. 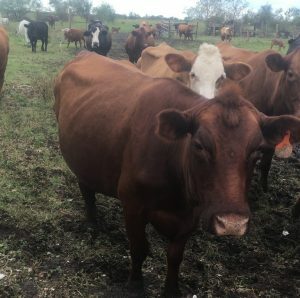 One of the email groups that has become a “go to” resource for us strongly encourages building your herd into one filled with – LOW INPUT/LOW MAINTENANCE – “I don’t need your help” kind of cows. 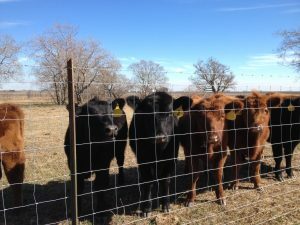 In other words, “you don’t want any of those ‘High Maintenance Ladies’ in your pasture!” The thinking is that with the right genetics, you can bring a lot of the good into your herd – increased milk quality, improved maternal instincts, reduced horn fly attractiveness, reduced internal parasite pressure, increased docility, etc. You name it, you can select for it – that’s the theory. But putting that theory into practice and deciding which of our girls to get rid of, that’s the hard part! Watching carefully so that we can make the best decisions as to which cows to keep and which ones to cull has become one of our big jobs – lot of notes and lots of time spent just walking in the pasture. We just gotta be careful that we don’t bring in too much of one good thing and squeeze out room for any other good traits. What we’re after is a well-rounded cow – an “easy keeper.” If a cow is not an “easy keeper,” life is not so good for them or us!